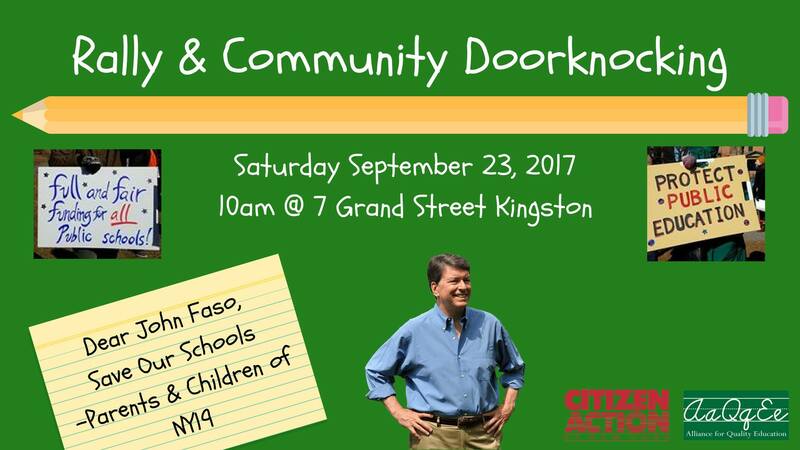 « Faso Friday – Save Our Healthcare! This weekend – our outreach is all about Education! Our congressman, John Faso has an opportunity to fight for a budget that invests in our schools, instead of cutting from schools. Joining in with a National Day of Action earlier in the week, parents, students and allies will come together demand more funding for public education and to denounce the Trump/DeVos agenda of devastating budget cuts, and failed privatization schemes like unaccountable voucher expansion programs and non-transparent and for-profit charter schools.